Simple and elegant. 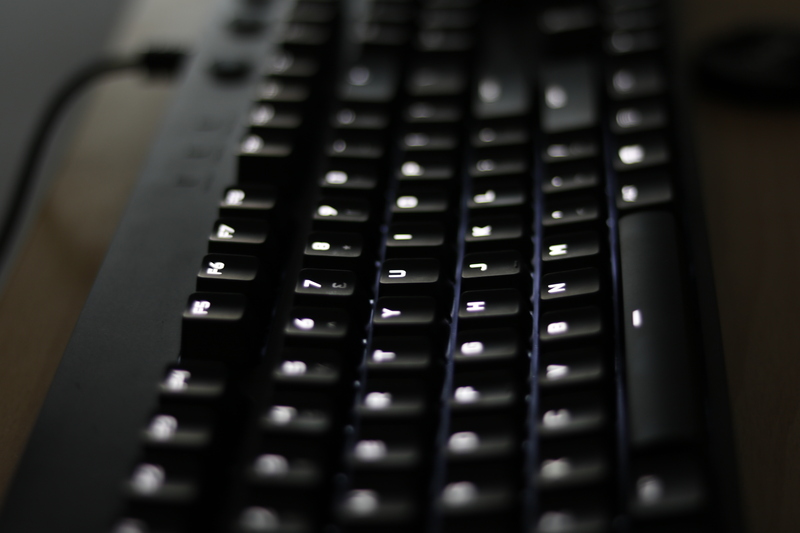 These are probably the two best words to describe the Logitech G610 Orion Gaming Keyboard. It comes with two variants, one with Cherry MX Brown and Cherry MX Blue switches. 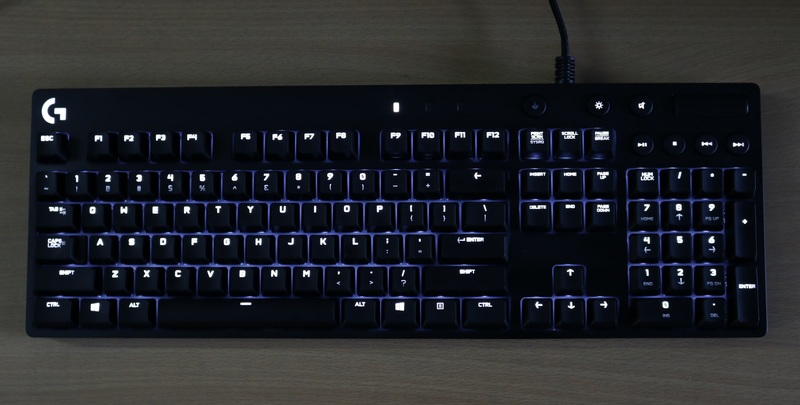 Today we review the G610 Orion Blue, which as the name suggests, has the Blue Cherry MX Switch. It features the characteristic tactile bump, which lets you know that the key has been pressed. 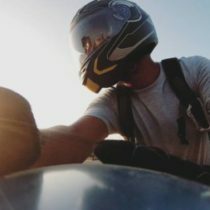 You need to apply a bit of pressure for that to happen, meaning that it can greatly reduce errors you might make while typing as lightly grazing over the key will not register as a keystroke. The keys also make a very satisfying clicking sound as your press them, which some groups might consider as music to their ears. Theoretically, it’s the ideal keyboard for people with intense typing work. Talking about the looks, the keyboard has a matte finish on the surface and a glossy look on the sides. It is made of solid plastic and features large rubber pads on the bottom that can prevent the keyboards from sliding. 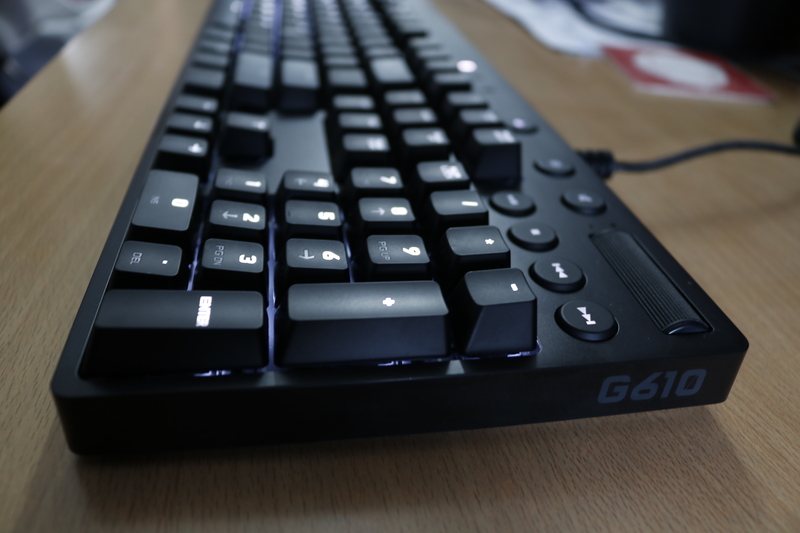 While some people might want something that looks a bit more…..lavish, I on the other hand feel that the G610’s smart and simplistic design is much more attractive. 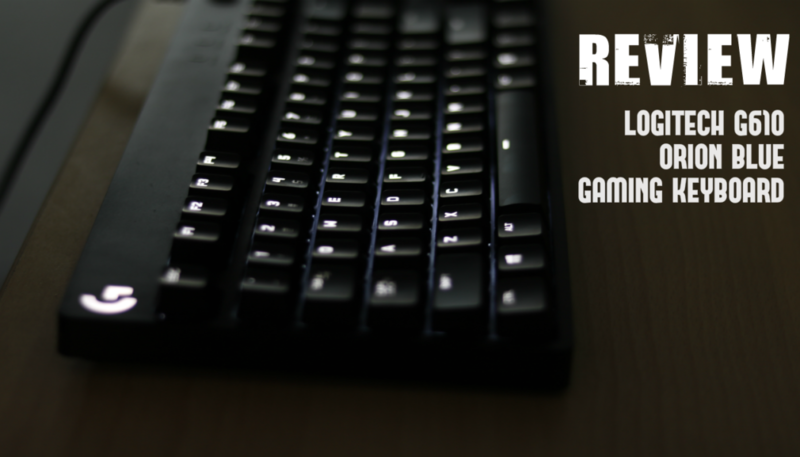 The keyboard has LED backlighting and includes dedicated media keys, including a rolling key for volume control. There’s also mapping for macro controls through the Logitech Gaming Sotware, though these are only restricted to the Function (or the F) keys. There is a separate key to control the LED backlight brightness, though we feel that the G610 lacks a bit in this department. The backlight colour is restricted to white, and though it provides the laptop with a very sophisticated and soothing look, I think an option for the people to customize the LED colour would have been better. While the G610 lacks N-key rollover support, you’d still have to go crazy pressing buttons in order to test the keyboard’s 26-key rollover support limit. And the lack of LED colours does make the companion software a bit easier to use. 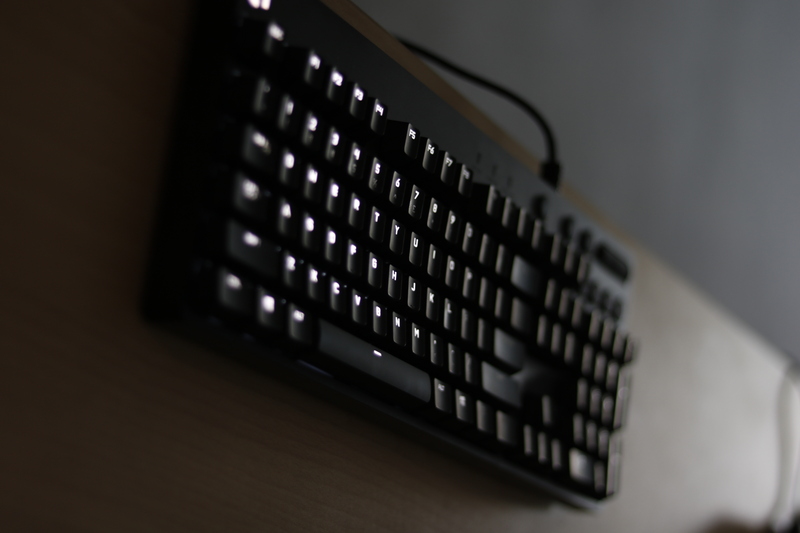 Using the Logitech Gaming Software you can customize the keyboard to light up in response to certain keystrokes, or have a more general pattern (like a wave or a breathing effect) or for the ones who like it simple, keep the LED backlight static. You can also set the speed for both the breathing and wave effects. The keyboard comes with its issues as well. The Cherry MX Blue Switches employ a clicky-tactile mechanic, making them the noisiest of all Cherry MX keyboards. While that may be a pleasant sound for the users, people around them might take an issue. Additionally, the keys are a little harder to press than the Cherry MX Red or Brown ones, meaning that prolonged extensive use might take a toll on your fingers. But on the plus side, they are also extremely helpful in reducing typing errors. Each coin has two sides, amirite? The Logitech 610 lacks some features that gamers desire (like in-built ports and RGB backlight) but with its simple yet powerful approach makes an impact. The inclusion of dedicated media playback keys and the tactile, clicky Cherry MX Blue keys makes it a great keyboard for all-round use, though the keys might take a little getting used to. It’s sleek, smart and gets the job done right. And let’s face it, if you want all the fancy features, you’re going to have to shell out a lot more money for the same quality. And that’s where the Logitech G610 emerges a winner. Love this piece of machinery!